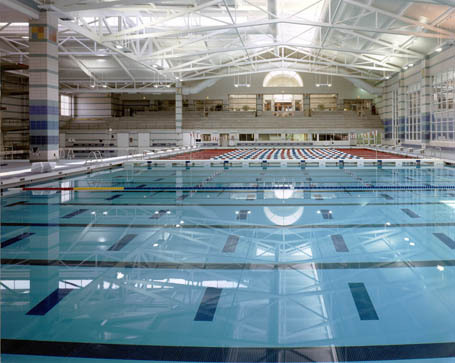 Counsilman-Hunsaker in association with Moody Nolan Ltd. was selected to design a first-class aquatic center for Miami University. The private university wanted a facility that would provide athletic and recreational programming spaces to meet the needs and objectives of their students and community. A cutting-edge design feature of the diving well includes two systems that help protect divers from injury: a sparger system that provides a soft landing cushion of aerated water for divers during training by introducing diffused air into the water below the diving boards, and a surface agitator that sprays water onto the surface from above.